50 pcs. 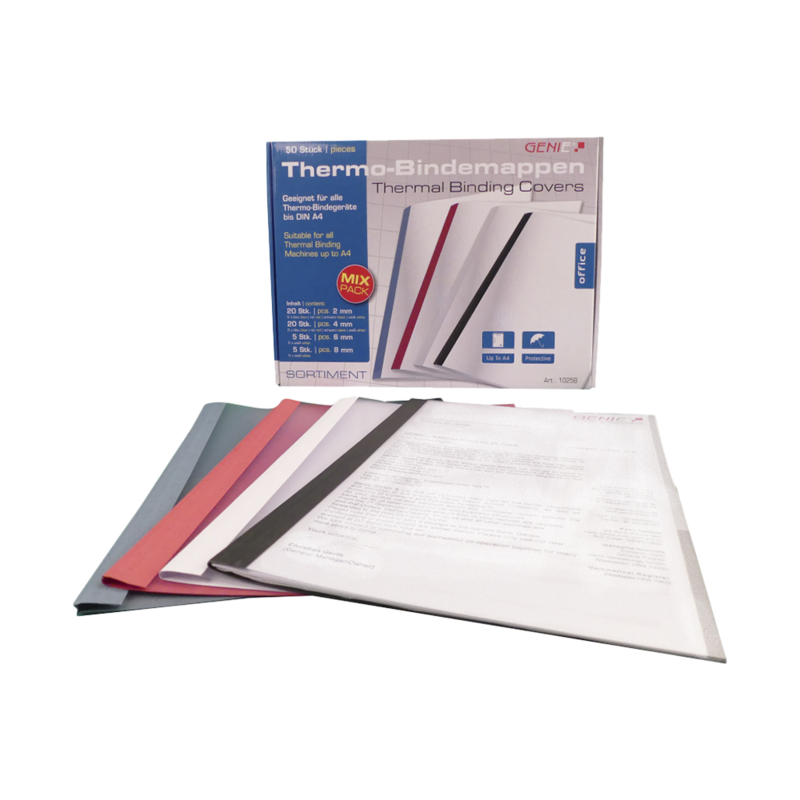 Thermal binding folders as assortment pack. 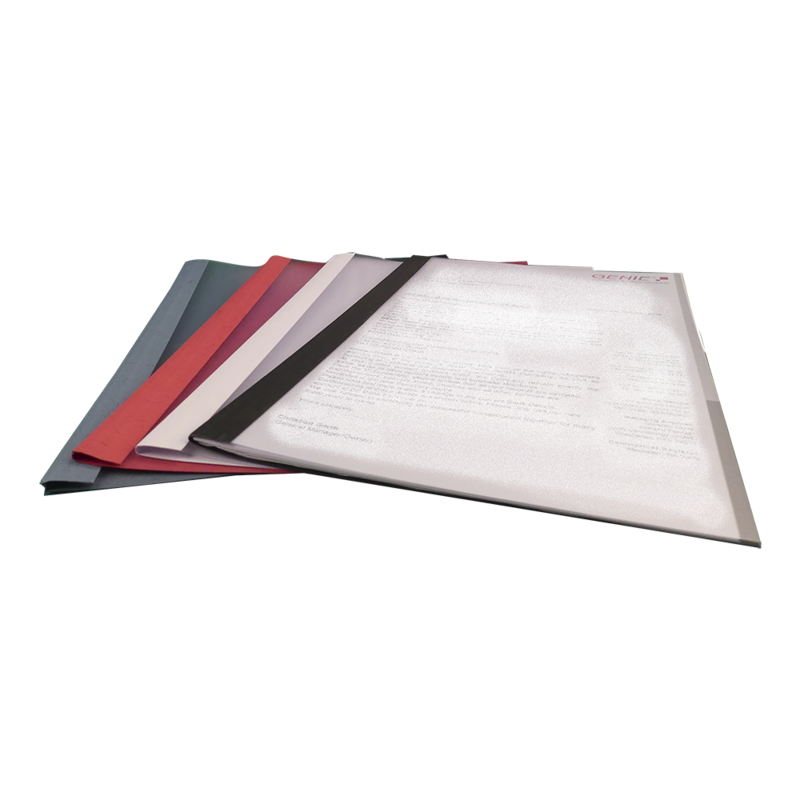 Binding in 4 different colours and widths.